Are you looking for a dependable electrician in Canning Vale? Franklin Bell are licensed electricians based in Canning Vale, Western Australia. We also service the surrounding suburbs of Willetton, Southern River, Thornlie, Huntingdale, Jandakot, Harrisdale and Piara Waters. Whether you need installation, repair or maintenance work, as your local Canning Vale Electrician we're here to help. We're Licensed Electrical Contractors - the job we do will be done properly, safely and correctly. We are fully covered under insurance for your peace of mind. 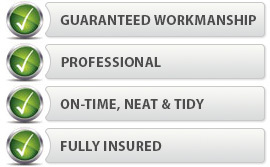 Every bit of work we do, we fully back by our Zero Friction Guarantee. We can help you quickly and efficiently. We're easy to deal with and take pride in our reputation for great customer service. Need a Quote? Like to Make A Booking? If you're ready to get a free quote or make a booking, please Complete our Booking Form, and we'll get in touch quickly to discuss your requirements. Canning Vale, where Franklin Bell is located, is a large suburb South of the River in Perth, Western Australia. The suburb extends from Bannister Road to Warton Rd, and lies either side of Ranford Rd, extending up to Garden Street. Canning Vale has an established industrial area that services the surrounding areas with easy access to Roe Hwy. Franklin Bell are Canning Vale Electricians and Data Cablers. We provide prompt, affordable electrical services to Canning Vale residents and businesses. Our customers include local real estate agents as well.